As the new year approaches, most people start to think about their resolutions. Here’s one you may not have though of..
How well have you been taking care of your teeth? If your answer was not as well as you should, or you normally do but you need new supplies, this post is for you. I received a toothbrush EVERY YEAR for Christmas. It was usually hanging IN the tree. Electric toothbrushes weren’t as popular back then. Now you have choices! 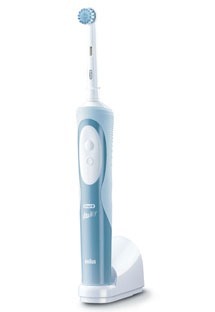 The Oral-B Vitality Sensitive rechargeable electric toothbrush features a compact, round brush head that surrounds each tooth with extra soft bristles to gently clean teeth and gums better than a manual brush. 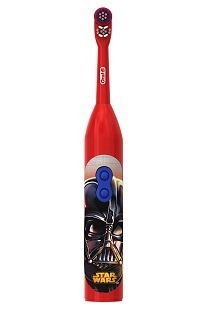 The Oral-B Pro-Health Jr. Disney Star Wars Battery Toothbrush will get your little ones excited to brush. This Pro-Health battery toothbrush for kids features a rotating brush head and extra-soft bristles, putting the power of an awesome clean in their hands. Best of all, it is compatible with the interactive Disney Magic Timer™ App by Oral-B to help kids brush for a dentist-recommended 2 minutes. 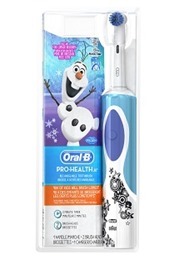 The Oral-B Pro-Health Jr. Disney Frozen Vitality Rechargeable Electric Toothbrush makes it a breeze for your kids to develop healthy brushing habits. Its distinct shape allows the toothbrush head to surround each tooth for individual cleaning, resulting in an amazing, tooth-by-tooth clean. Use it with the Disney Magic Timer™ App by Oral-B. and your kids will enjoy brushing along with their favorite Frozen characters for a dentist-recommended 2 minutes. With a waterproof handle, this electric toothbrush uses a Sensitive Clean toothbrush head for a gentle brushing experience that can be replaced when its Indicator Bristles fade halfway (about every 3 months). P&G values your teeth and gum health and would like to award a reader of Callista’s Ramblings with a family package of teeth brushing supplies.